Happy New Year - we wish you a very proseperous 2014! We've seen some interesting stories around the turn of the year and picked our favourites to share here. Vivienne Westwood designs costumes for the New Year's Day Vienna Philharmonic concert. Vivienne Westwood has designed and curated Haute Couture costumes for the Vienna State Ballet's that where broadcast on New Year's day in the intermission of the Vienna Philharmonic Orchestra concert. The dancers wore the Haute Couture during their performance of the Waltz which is part of the New Year's concert each year. The Ballet interlude was filmed in advance in the Palais Liechtenstein, a newly renovated historic Palace in the centre of Vienna now open to visitors. The outfits came from the Spring 2014 Gold Label collection that was shown in Paris in October 2013. Five pairs of dancers waltzed in the ball room of the City Palace. It was a perfect setting for the clothes and a promotion for the Palace that has recently been re-opened for visitors. The Ballet presentation began with a series of duests that provided ample opportunity for each of the Women's Wear pieces to be really apreciated fully in it's individuality. Vivienne is particularly know for working with Tartan and I've seen images of a number of different looks using Tartan Fabric that where not shown in the New Years Day Ballet Presentation. They looked pretty striking against the back-drop of the Palace. The dresses worn by the female dancers that you can see above are all dream Haute Couture pieces. To my eye they also have a very care-free nature about them. The careful layering of Satin and then gauze giving the mixed texture look gives the dresses a look of relaxed casual chic. No stuffy Ball gowns here. These are 21st Century girls dancing away in the golden light. New Year's Honours List fashion recognition. Born in Paris to British Parents Pheobe Philo manages to draw the fashion world's of London and Paris together very neatly. Phoebe formerly worked at Chloe since leaving Central Saint Martin's. She was appointed Stella McCartney's first Assistant after her graduation and at Chloe eventually becoming creative director of the Paris House. I remember the talk at the time and the acknowledgment that another young British Designer after Stella could also lead a flagship House in Paris. Celine is part of the LVMH stable and Pierre-Yves Roussel, chief executive officer of LVMH’s fashion devision said at the time of her appointment “By giving Philo Céline, we’re giving her a platform to express her vision”. Based from London and with a free hand her collections from the start at Spring-Summer 2010 onwards for Celine have all met with critical acclaim and sales look good. Phoebe is both Celine creative director and Board Member. In a time when we need to get more women represented at the top of the corporate ladder this is very signisicant and also from the perpective of design it's important for the head of design to sit at the top table with the Board and executive committee. It provides and invaluble communication link between the heart of the creative design operation and the practical ecomonics of running a multi-national company. As a working mother in London running a fashion house headed in Paris Phoebe is an example of how geographies can be crossed very successfully when you are in demand. Pat's recognition is very well deserved as she is one of the most popular and well respected Make-up Artists and Cosmetic Directors in the Industry. She's a home-grown legend and has been quoted by Edward Enninful (former Editor of Fashion I-D magazine) as producing work "from the Highest Couture to the grungiest of Kids Make-up". Pat is known for her composite view of the collections that she sees. She has said herself that she's very influenced by the fabrics that she comes across, the people that she meets and the faces of the girls themselves. This gives her the boundless creativity to realise something fresh every time she works. When you watch a fashion show the make-up takes centre stage alongside the clothes. It is an essential part of building the look and atmosphere around each piece as it comes out down the catwalk. At London fashion week the designers are usually always careful to give credits in their collection guides to the make-up brands they use and sometimes the make-up directors but looking at the industry globally I have always had a feeling that make-up artists don't get the high visability that they deserve in terms of name recognition. Photographers, designers and people in the industry will know who they are but the wider public reading the magazines to seeing clips of the fashion shows will seldom know who the artists are. Most magazines will state who has done the make-up for an editorial shoot but make-up artists rarely have the same profile in the media as designers and photographers. So very well done to Pat, it's recognition well deserved and hopefully in the future more people from her part of the industry will be recognised. CHANEL's Paris - Dallas Metiers des Arts pre-fall 2014 collection "Back in Dallas". CHANEL made a step into the West with it's latest offering to celebrate the talents of the specialist Houses it supports and showcases each year through the medium of this unique series of Couture shows. Fair Park in Dallas was decked out as a catwalk - meets Rodeo-Circus with stars and stripes sitting along with the French and European flags this transatlantic fashion feast took place with the new face of Chanel's Metiers de Arts, American Actress Kristen Stewart in attendance with Karl Lagerfeld at her side. There where also Cow Girls and Cow Boys thrown into the mix. The Rhinestone cow-girl from the dusty lands of the wild west has been transformed into the billion dollar girl from Texas who is a citizen of the world. Models walked out over sawdust and straw in a series of looks working around a Late 19th and early 20th century Wild West theme. For his choice of colours he referenced the hues and tones of the desert and the rocks. In look 1 Ashleigh Good walked out in a stunnign tweed Suit in a sand colour and later in Look 12 Sigrid Argen also invoked hte colour of dessert sands in her tweed dress. A lot of the fabrics lent heavily towards a very natural fibre colour look. However the complexity of the designs and the legendary high production values from the ateliers ensure that the collection has it's place firmly in 21st Century Haute Couture. Two further tweed suits that caught my eye where in looks 24 and 25 with Grace Hartzel. These new incarnations of the classic CHANEL tweed suit used the pinks and purples of rare desert flowers. The colours in the fabric weave had a slightly muted tone about them reflecting gentle dusts of the desert. Many looks referenced traditional First Nations clothing. I was particularly taken with the re-working the Chieftain style with looks carrying a feathered Halo effect invoking the image of the Angel in look 93 worn by Caroline Maigret that closed the collection. Another strong influence celebrated from First nations tradition was the use of traditional pattered textiles. The weave traditions are fascinating and in many looks Karl layered contracting patterns ontop of eachother. Stella Tennant in look 36 and Jacqueline Jablonski in look 26 both walked in looks in the fashion. Another great theme through the collection is the western style boots. The soft leather boots in many colours made these shoes look oh-so wearable and desirable for next year. I would love a pair today. In look 86 Jamie Bochart also wore a dress heavily influenced by the traditional woven blanket textiles. With the West you can't forget denim, that staple of the working man's and woman's wardrOBE that was born in the American West. In look 33 Jake Davies was the man of the Texas ranges with his dust-look denim, large patterned poncho and thick fur boots. The lighter traditional mix of blue denim and white lace was also played with in a number of styles. Lindsay Wixon in look 60 and Caroline Brasch Neilsen and Kremi Otashliyska in looks 57 and 55 all wore outfits that caputred the carefree feeling of the late summer and fall in the desert. Traditional westren style fringing on sleeves and skirts throughout the collection also added to the uniquly Texan look. Following on again from first nations practical and economical use of animal skins fur inspired several looks. Samantha Gradoville wore a fur dress trimmed with lace and accessorised with a leather draw-string pouch-bag in look 19. One of my favourite looks of the collection was No.78 worn by Joan Smalls. She wore a beautiful floor length midnight Blue dress embellished with bright stars to represent Texas. Teamed with a matching dark blue demin jacket this was a pretty special dress that would make a great red carpet look. Another look that particularly caught my eye was no. 41 worn by Jaime Bochart. This Edwardian-esque black skirt suit with fur trim at teh skirt base and cuffs was stunning. Teamed with an adventurous matador's cape it was a stand-out piece. The accessory line in this collection was strong with a very good range of bags cleverly revived in a 21st century frame and Gun Holsters looking positively friendly, some even carried large bottles of CHANEL no.5. Carpet, bags, duffels and leather pouches in varying sizes from clutches to weekend bags all blended with looks throughout the collection. This collection was a real step in a new direction stylistically and a lot of fun to watch. It re-kindled and celebrated the relationsghip between CHANEL and Neiman Marcus. Neiman hosted them nearly six decades after Stanley Marcus championed CHANEL in the American market. I'm a huge fan of the Metiers des Arts shows each year. They always have a lot of fun with their chosen theme and the collections are truly unique. The patronage they give to the specialist craft houses CHANEL bought up to preserve is something that sustains the heart of Haute Couture. 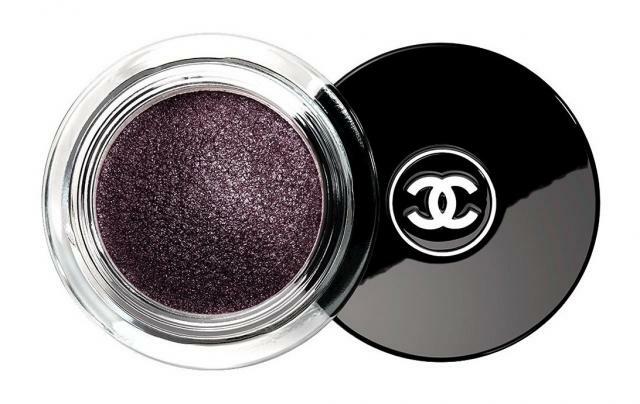 Keep an eye out for these collections arriving in the CHANEL stores later this year. Cartier Style and History exhibition in Paris. Cartier have staged a major retrospective of their works in Paris celebrating their work over the last 160 years. The Grand Palais, which is often home to fashion shows in Haute Couture and Ready to Wear weeks played host to 600 pieces of jewellery fashioned by Cartier. This great collection was assembled by bringing pieces from Cartiers archieve and loaning back pieces from collections from all over the world. One thing that they have a lot of experience in producing is the Tiara. While seldom seen these days except for European Royal weddings and rare balls the Tiara was once a mainstay of the White Tie dress code and up until the 1960's they where still seen in number. Cartier's exhibition provided an opportunity to see countless examples of often historical importance displayed uniquely together. Amongst the Tiara's is the Halo Tiara lent by Queen Elizabeth of Britian and worn by several women in her family. Another belonging to Queen Elizabeth of Belgium and commissioned over 100 years ago also features in the exhibition. One of the most striking Jewels was the Panther brooch owned by Wallis Simpson. Displayed in it's own cabinet it represents a Panther, shaped with Diamonds and Saphires. It's paws and tail draped around the Blue orb at the centre with is a Kashmir Blue Saphire of over 150 carats. I was fascinated by the Art Deco section of the collection. The bright use of colour and the themes of the orient show the fascinations of the 1920s and 1930s for clear lines and bold colour. There's a fresh breath of originality in the designs. A break with tradition and yet using traditional ideas. Hollywood is the next stop for the Cartier journey through time and it's interesting to note that a large number of what we would now call A list stars patronised the House alongside Royalty. It is't always the case that you get the two demographics together when you look at a brands clientele in the 20th century. Jewels from Marlene Deitrich, Gloria Swanson, Brigitte Bardot and the famous collector Elizabeth Taylor are displayed in abundance. Also another actress who became a Princess, Grace Kelly is well represented. It's often the very unqiue pieces that you remember from exhibitions and for me one of these would be the Crocodile Brooch made for Maria Felix the Mexican actress in the mid 20th Century. Two crocs overlap and curl round eachother. They have detachable feet for ease of pinning back onto clothing. Cartier's history as a house is one that sheds important light on the industry. They sowed the seeds of their success in the 19th Century by ensuring the expanded to good premises at 13 rue de la paix, that they had strong links with the florishing small craft workshops throughout the city producing the best work. They also formed a strong relationship with Worth the first Haute Couture House in Paris and could work with another luxury goods provider to service the needs of clients. It was a modern approach that bore fruit. 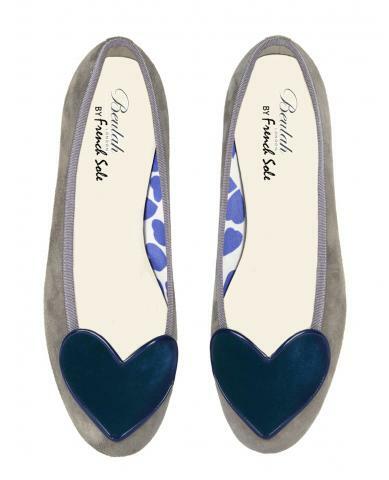 Beulah & French Sole launch the Blue Heart ballet flat. 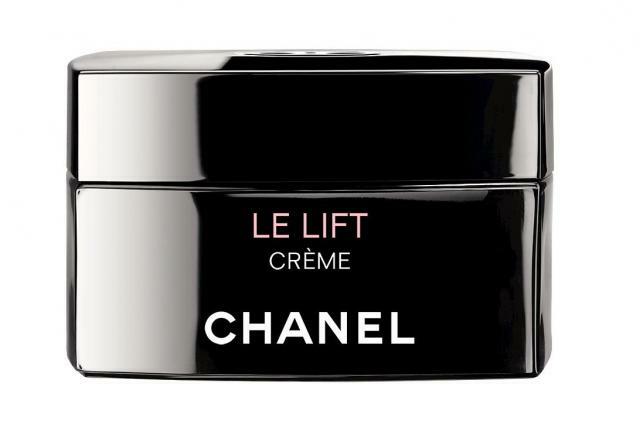 Beauty News CHANEL Notes de Pritemps beauty and le Lift cream Spring - Summer 2014. Isabella Blow enjoyed a celebrated career and partly became well known for her generosity and vision in launching the careers of others. The Isabella Blow Foundation and Central Saint Martin's College have joined forces with Somerset House to celebrate this amazing retrospective. Isabella is known as a legendary stylist and Patron of fashion and art. The work of many designers that she helped to launch features in the exhibit. In an echo of Isabella's ability to draw people together, her family and the Foundation established by Daphne Guinness have come together to put on this landmark exhibition. Daphne bought the vast collection that Isabella gathered during her career as a stylist to be curated and preserved for the future. The foundation raises money to support young fashion students and promotes the study and research of Mental Health issues. To save this collection intact for posterity is a great gift to the world and we and many future generations of fashion students and the public at large owe Daphne a debt of thanks. Alongside the graduate McQueen collection was a video of the other collections that showed on the same day at Central Saint Martin's. By an extraordinary coincidence as my friend and I watched it we stood alongside one of the other designers featured in the film who had come to visit the collection with her girlfriends. 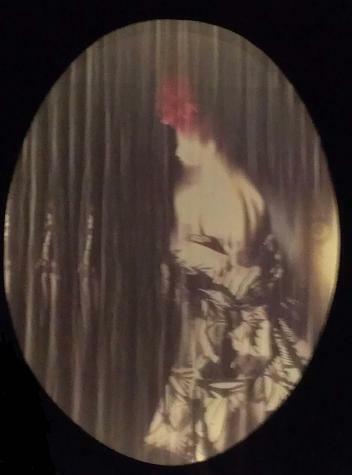 It was a great stroke of luck to meet one of Alexander McQueen's contemporaries. Isabella was known for championing young designers with their own unique outlook on fashion. The result was that she assembled collection of unique depth and scope and in particular the collection contains a lot of early work from designers who went on to achieve great things such as Alexander McQueen, Hussein Chalayan, Julien Macdonald and Philip Traecy. The extraordinary pink dress to the right is one of the most striking outfits in the collection. Twinned with ruby-red shoes it sets off the dress with a contrasting edge. Above is one of the many, many rooms on the exhibition. There is a lot of detail in the outfits in both the fabrics and the design. There's much to see and study. You also get the full sence of interraction and synergie between Alexander McQueen and Philip Treacy and other designers in the displays that have been put together. Non of this would have been possible without Isabella's eye and instinctive forsight for which designer's works would compliment eachother well. Beginning with a look at her childhood in Cheshire and her awareness of the historical past from her roots; the Exhibition moves on look at her beginnings in fashion with her early years in New York as Anna Wintour's Assistant at American Vogue. The graduate collection of Alexander Lee McQueen which she famously bought in it's entirety is displayed and as I looked at it with a friend we both saw pieces that we would wear now. It's touching to see how durable his style is. We often use the word "timeless" in fashion but even his very early works are. The gallery of hats above held my attention for a very long time. Many of the works are by Philip Treacy and they are all objects of wonder in their own right. This is a part of the exhibition that you need to allow plenty of time for. I felt that alongside the dresses and suits, the more time I looked at the hats, the more detail I saw and the more I wanted to see. There is a huge depth and variety in the collection and the picture above right showing the silver sheet-layered dress amongst the others in that room. I love the black silk embroidered dress behind it looking like a variation of the traditional Japanese Kimono. Together with a carnival mask it's a beautiful couture piece. Isabella also launched the careers of a number of models who became Household Names including Stella Tennant and Sophie Dahl. Her celebrated shoot that she worked on with photographer Stephen Meisel's "Anglo-Saxon Attitudes" included Isabella's cousin Honor Fraser and Plum Sykes as well as Stella. For Stella it was launch pad that sent her straight to the top of the fashion world. She was signed shortly afterwards by Karl Lagerfeld as the face of Chanel. Plum and Honor both modelled for a while very successfully and then their careers took them to America and very successful careers in the Arts industry. I would say if you can visit this exhibition you could easily spend 90 minutes or longer walking the rooms studying all the looks that shown. Many dozens of designs. And lastly to finish here is a picture of Isabella herself with her radiant smile remembered by many people. You can see the light radiating out of her. It was exactly this infectious enthusiasm of the talent she discovered that helped launched the careers of the designers and models she discovered. Isabella's energy and sharp eye played a hugely significant role in late 20th and early 21st century fashion. She will be remembered always by those who knew her and I have the feeling she will remain in style annals to be studied as part of fashion history for a very long time. The model to the left is a submerged high fashion mermaid. In a beautiful black corseted dress she sits in her undersea kingdom. The hat on her head is beautiful spirals reach out from the crown reminiscent of seaweed and her face is shaded with a masque of Aqua Marine Blue to show how she sees the world through the prism of moving liquids. Perched on her rock she is still with the waters moving around her. In the centre the dress attended to by the curator is a fascinating design. Many individual sheets of Silver plate lie criss crossed over each other to create the centre design. It's a great work of art and construction and I love this picture showing the curator adjusting the pieces. To me it looks like piece worthy of a design museum as well as a fashion museum. Highly conceptualised I see it as a symbol of female strength. The look to the right focuses on the beautiful headpiece and glasses celebrating Isabella's devotion to and patronage of fine accessories. One common feature of most of the head-wear that I've seen in the collection is that it has volume and the height radiates out often in the form of tendrils and feathers that give a delicacy to the impact. Shapes curl, float and move all in their own right. The hat in the centre look also has this form of construction. Very broadly taking an influence from the sea anemone. In December Beulah and French Sole launched their Blue collaboration. The Blue Heart shoe takes the signature Blue Heart Beaulah design and pairs it with the stylish ballet flat that is found in many girls wardrobes. The Blue Heart design can be seen in the lining and across the toes. The Blue Heart shoe is available in the French Sole stores on the New Kings Road and Brook Street in London. In the UK the shoes retail from £185.00 and 25% of profits will go to the Blue Heart campaign. Jane Winkworth the founder of French Sole and Natasha and Lavinia from Beulah share a common ethical goal in stopping the exploitation of women and children working within the textile and shoe making industries world-wide. 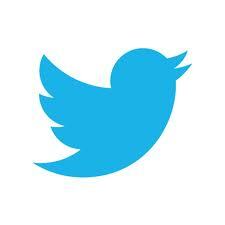 The Blue Heart itself represents the commitment to fighting Human trafficing. Both brands celebrate style and beauty and have the same high production values and clientelle. It's a truly great cause and I hope many of these special pairs of shoes find a good home. 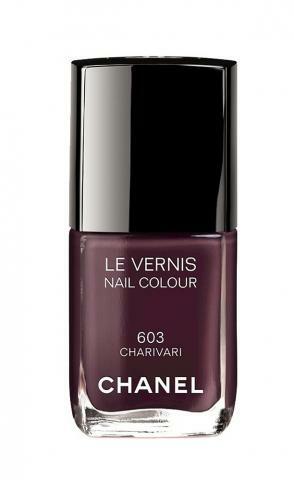 CHANEL are celebrating the arrival of spring with "A melody of colour". A celestial harmony of tones guides us into the brighter, longer days. I personally love the rush of Spring energy every year and the perfect streamlined morning beauty routine is a great way to start. 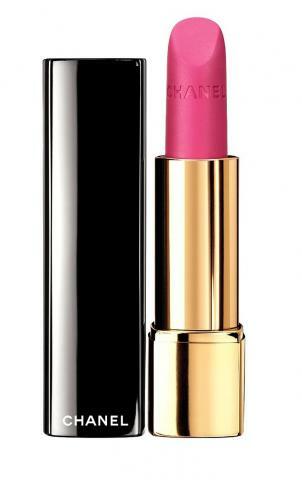 To the right are two Rouge Coco lip shades in bluish pink Dedicace and Triomphe in a Peachy pink. Furthest to the right is the candy red Sonate in the Levres Scintillantes collection. Sending a clear bright signal like the chime of a bell this colour and the further notes of the series come in the pinks of Murmure and Plaisir. (C) Beulah Blue Heart ballet shoe with kind permission of French Sole and Beulah. Rouge Allure joins the concert of colour with three shades the powerful La Diva, the bright pink Fougueuse and the velvety rich L'adoree. The key to the enjoyment of these lip colours is two fold. 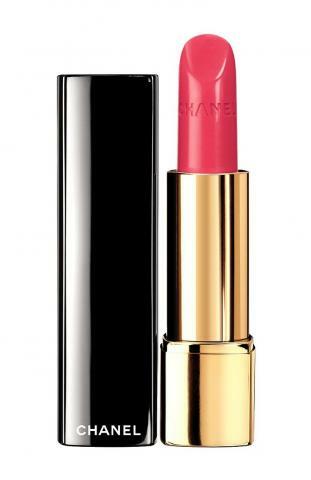 The colours bring that spring time youthfull energy and life to the skin and the texture and moisture of the lipcolours themselves envelop the lips in their beautiful textures. The heart of the collection this season is a bright youthful red of spring. This is the centre of the colour wheel and from there the other colours radiate out in pinks and lilacs. I love the analogy with music and tones rising and falling on the musical scale. I think there's a quality about poetry of beauty in art or a well composed and made up face that has the same resonance as hearing a well prepared musical score. There's definitly the joy of spring in this collection and the light harmony will give you that extra happy feeling. 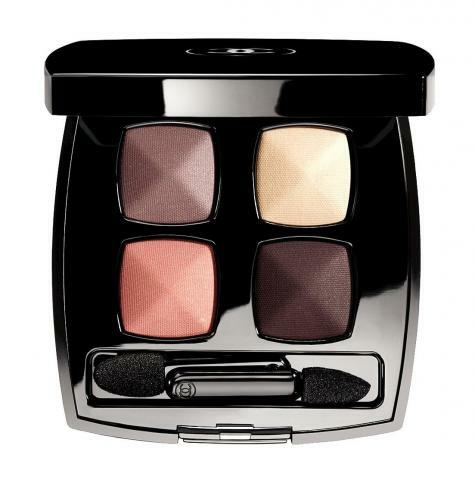 The two palettes below are a duo called Rose Majeur and the quartet Quadrille. Both are clever shadow sets that can also be used as enhancer broadly around the eyes, for lids, sockets and the upper corner of the check bones for the lighter shades. 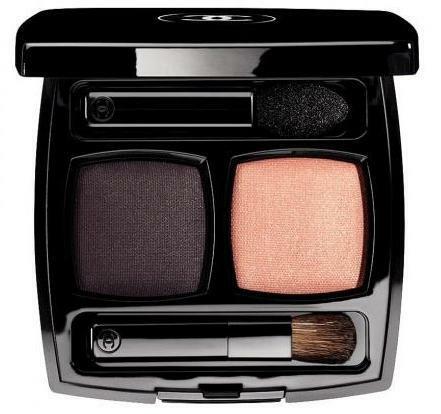 Both the above palletes set the warm apricot notes in contrast to the smoky, dusky velvet and apricot shades. It's a well composed balance and colours like the two Illusion pots above can be used alone or in combination with others from the collection. Like with all well - orchestrated productions, everything fits together. There is a harmony here like the notes of the staff. 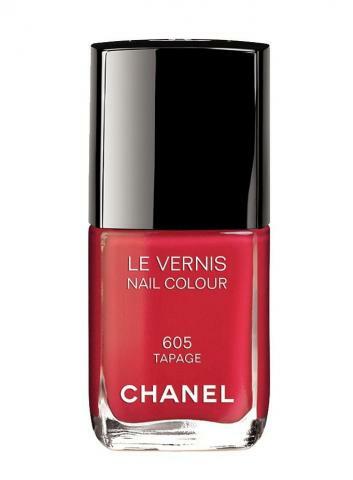 Key to setting off a make-up look is the nail coat and CHANEL this season have brought out two new colours and re-introduced one of their most popular and versatille, Ballerina. 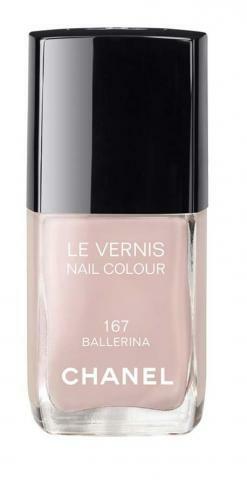 Ballerina is a colour that I've worn many times myself and find a versatile go-to for the French manicure. 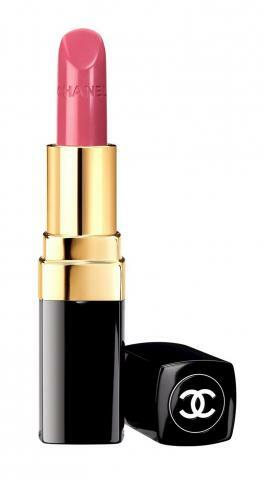 It's a very gentle fresh colour and perfect for Spring and Summer. Charivar is a colour I find fascinating. 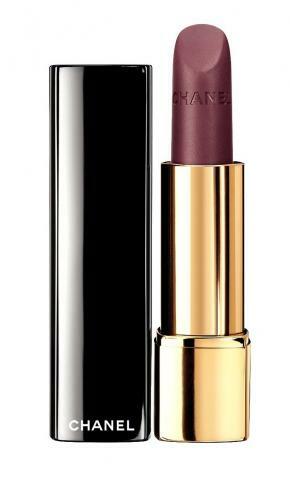 A smokey Lilac that gives a dramtic emphasis like a crescendo from the orchestra. Tapage is firey and rings to the theme of the vibrant red of spring bursting into life. 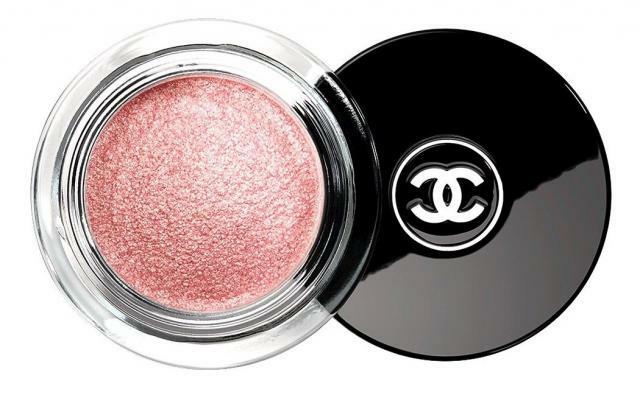 This Duo of CHANEL blushes is pretty special. 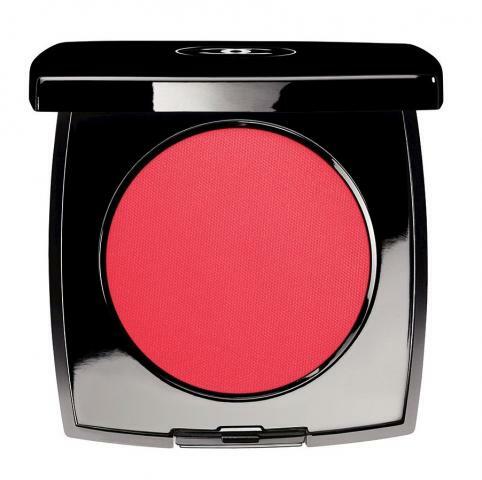 If you havn't bought from CHANEL in a little while I strongly recommend that you go to look at them or order a blusher online becuase in recent season;s they've introduced Rose into the blusher as a fragrance but also perhaps in the form of Rose oil. I'm not expecting CHANEL to divulge their formula secrets but Rose is an ancient form of skin care beauty product dating back to Mesopotamia. 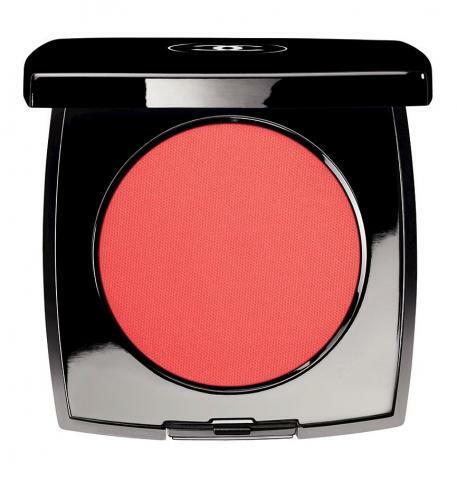 These blush powder compacts in the pink Chamade and Intonation are both very light and creamy on the skin. These are both at the forefront of the blushes on the market as I've personally found they don't dry on the skin, even when you're under lights for a long day/evening or at an event on a hot summers day. As with the rest of the collection, they're very good investment pieces. 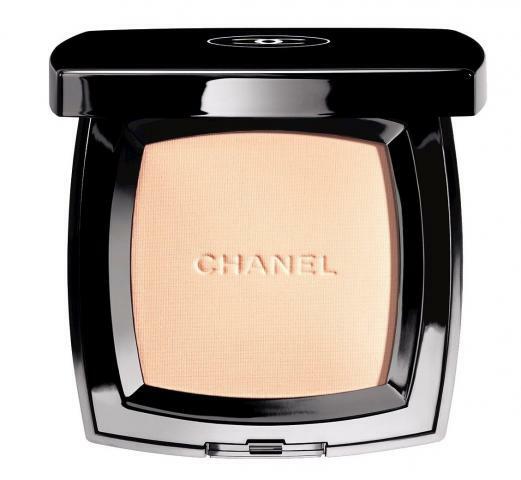 CHANEL's new skin care offereing is a very clever technological step forward. Using technology working with the skin. Using natural plant extracts and proteins manufactured by the plant it works actively with your skin to re-build tissues and fibres on a dialy basis. I recommend you try it. To close this look at the new season's offereing here is the pressed powder Preface. 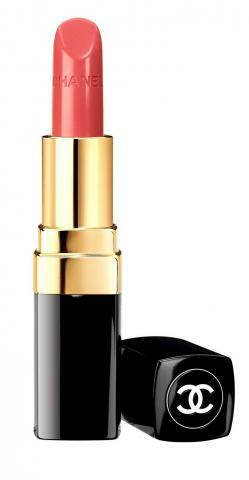 It's beautiful and light and gives a warm glow to the skin without feeling cakey in the slightest. To delicate powder we all need to have around.